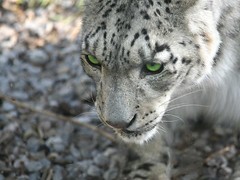 Photo: Snow Leopard by BenedictFrancis. Just a quick post to point out an update to Devon Technologies’ WordService. WordService has just been updated to version 2.8 if you are already using it. Download from Devon Technologies products page. My favorite and most used is ‘Reformat’ which does stuff like strip extra spaces, line feeds and other junk out of text. When I copy something from the web or pretty much anywhere, I typically paste it into a blank TextEdit document set to plain-text. I then do a ‘select all’ and then ‘Reformat’. It cleans the text up really nice! I also use the insert time/date functions quite a bit. The others are really useful as well, but I don’t have keys mapped to many others. To map a keyboard shortcut go to your Services preferences under System Preferences -> Keyboard -> Keyboard Shortcuts -> Services. By the way, the Services settings are a bit tricky until you figure it out. When it says to double-click on the shortcut and then push the key combination to set it, it actually means to double click in the area to the right of the service you want to set the keys for. If you scroll up and down, you should see some, and if you double-click there, you’ll see how it selects and gets highlighted.